The deleted apps come from companies like Appverse, Dingtone, TextMe, and BinaryPattern/Flexible Numbers, TechCrunch said. A pair of named apps -- Smiley Private Texting SMS and Texting/Calling Phone Burner -- are still available. 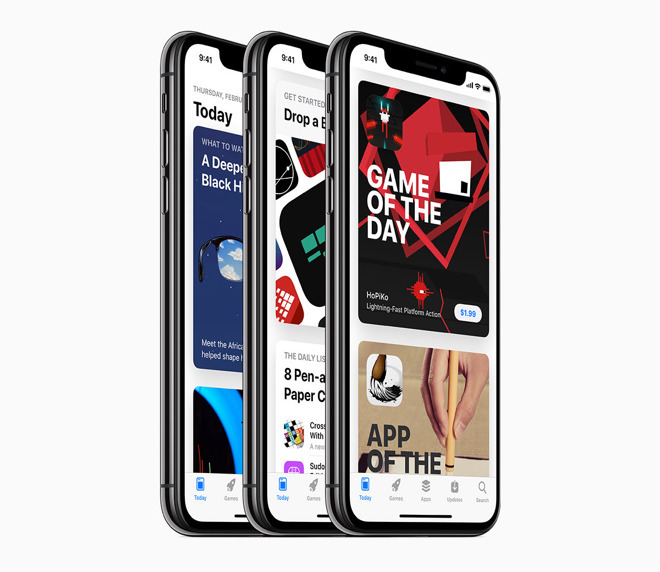 App Store guidelines specifically ban duplicate apps. The accused parties are said to have used the practice to catch people browsing different keywords and categories. The problem isn't limited to VoIP apps, TechCrunch noted, pointing to developers such as JPEG Labs, which has four apps letting people print photos and CVS and Walgreens stores. Another, MailPix, is not only operating in the same manner, but reportedly acquiring apps such as Photobucket's only to turn them into clones. It's not clear whether Apple is aware of any photo-printing scams. Apple has long struggled with keeping fraudulent apps in check. Most titles are believed to be legitimate, but some issues have included developers tricking people into subscriptions, and even cocaine and meth trafficking. So what happens to the people who bought the clone applications instead of the ones that Apple decided to allow them to keep? They just got marooned with no chance of updates, or even the ability to put the same app on new or restored devices. Remember, you don't get to keep your copy of your apps any more-- you depend on the apps to stay in the app store or you lose them, even if you PAID for them. I sure hope I haven’t been tricked into trafficking cocaine or meth. I thought if you had downloaded an app it was still downloadable to you even if it was no longer available in the store. For instance, I had forgotten about Infinity Blade until reading about it’s removal from the App Store. I can still download it from “Purchases” but searching for it finds nothing. Nope! Even Infinity Blade will disappear. That's already been stated. They don't want to keep supporting it. I have games like Guitar Hero and others that are completely gone. I can't re-download them even though I PAID for them!!! It is a rip-off. You get screwed buying things that are only in the cloud. It's exactly why I don't buy any Digital Movies. Here today, gone tomorrow. I rather buy things on Disc. Then I can rip it in a digital form for my use and the disc is not a physical backup that I have. Not out there in the cloud. Nope. I purchased the original App Store game Civilization (still the best version) and it’s gone. It was one of those titles that disappeared during the 32bit to 64bit transition. App developers used it as an opportunity to force users to pay for a new version, rather than update their apps. I don’t spend money in the App Store anymore, because it’s about developers making a quick buck rather than putting out a quality product. Apple doesn’t really do anything to enforce good behavior, besides removing security concerns. The Google App Store is worse on security, but Apple doesn’t have much of a lead anymore. If it’s that bad for iOS, it must be hell on Android. It’s a crying shame that Apple no longer is the clearly superior brand to go with. It’s merely the less bad choice. There are TONS of garbage apps and open source ripoffs/duplicates on the App Store. This event doesn’t even make a dent in the level of garbage floating there, clogging up the browsing process and wasting consumers’ money.